I know more than half of the country will serve Roasted Brussels Sprouts on Thanksgiving as a side dish. I’m begging you to give these five spice hoisin flavored ones a try. I know five spice isn’t normally a flavor you might use in your turkey meal prep, but guys I think you’ll love it. 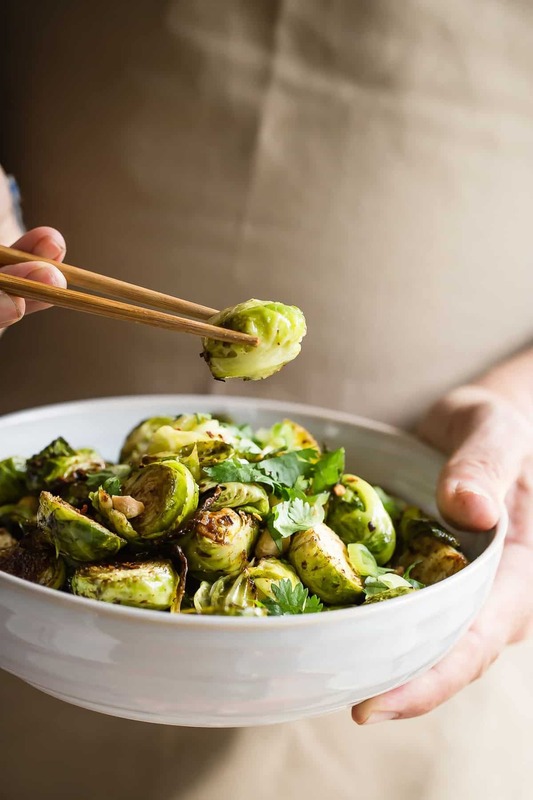 We eat a good amount of Pho which has all of these flavors, and the aromatic smell of the broth from our favorite Vietnamese place is where the inspiration came from to make these roasted brussels sprouts. This is where I have to warn you about the spice level. I love spicy food and can take a good amount of heat, but I was informed by other members of the family that things were a little too spicy. The good news is that you’re in charge and I’ll give instructions in the recipe to suit both spice levels. There’re so many different tastes and textures going on here including those crispy brussels sprout leaves, dang those things should be available by the bag. After all, we can buy kale chips, right? Gone are the days as a kid when my brussels sprouts would be so soft you could squish them with a fork. These are crunchy and crispy with that kick from the spice and a little sweetness from the hoisin sauce. You should be able to find a jar of the sauce at your regular grocery store and it’ll last a long time. Sprinkle with a little red pepper flakes, or not if you like a milder version and toss with some green onion and extra salted peanuts. Fresh cilantro and a good cold beer are perfect for finishing, I’m spoiled for choice when it comes to local craft beer choices, but Modern Times from San Diego always seems to be in my fridge. 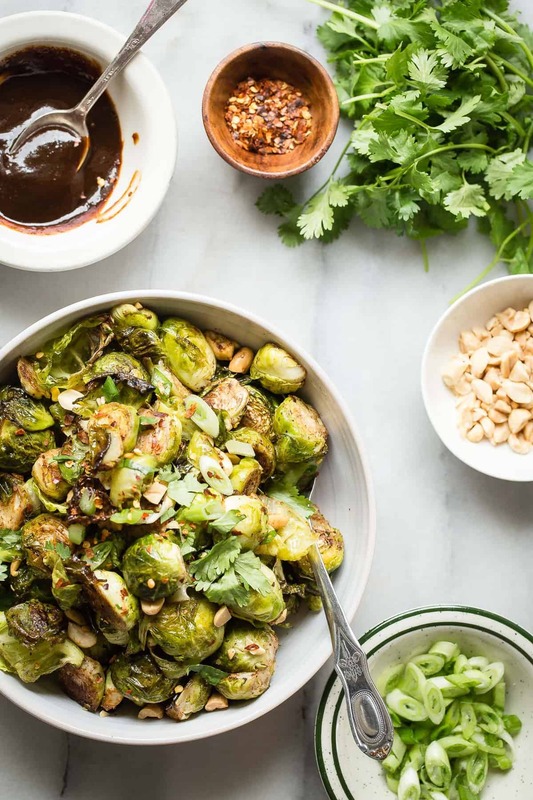 Crispy roasted Brussels sprouts tossed in Chinese five-spice powder and hoisin sauce. These are so easy to make and the flavors are amazing. Cut the sprouts in half and transfer to a bowl. Add the five spice, olive oil and peanuts and toss well to coat all of the sprouts. Dump the sprouts onto a large baking tray and season lightly with some salt. Bake in the oven for 27 minutes, moving them around halfway through cooking. Once the sprouts are done transfer back to the bowl and add the hoisin sauce. Toss to coat and serve at once. Sprinkle with a little red pepper flakes if desired. You can adjust the heat level by only adding a half teaspoon of five spice and omitting the red pepper flakes. You'll still have that great sticky hoisin flavor. No need to beg, my friend. You had me at hoisin. Love me some brussels, and these look damn tasty! Thank you for the link. Your recipe looks delicious. Love this twist on a traditional side dish, Gerry – can’t wait to give this one a try. 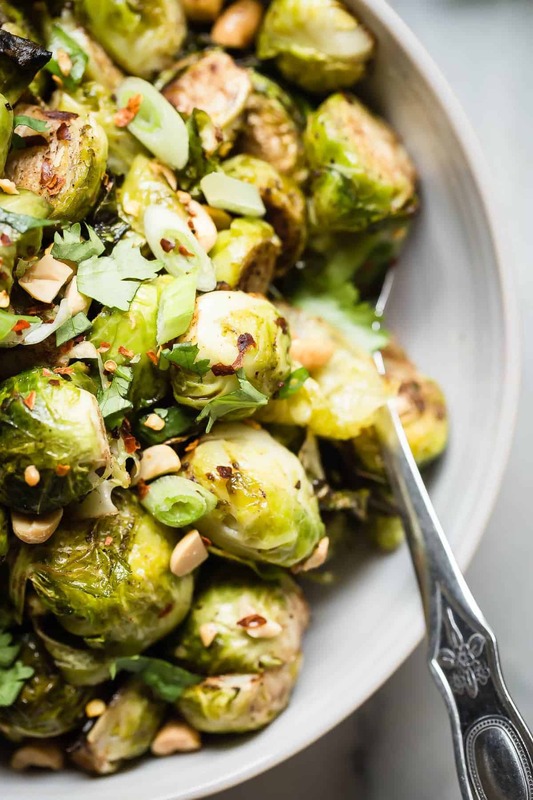 Roasted brussels sprouts are the best, these look so good! I’m a little wimpy so can’t take a lot of spice! Thanks for sharing instructions on how to lighten up the bite a little. 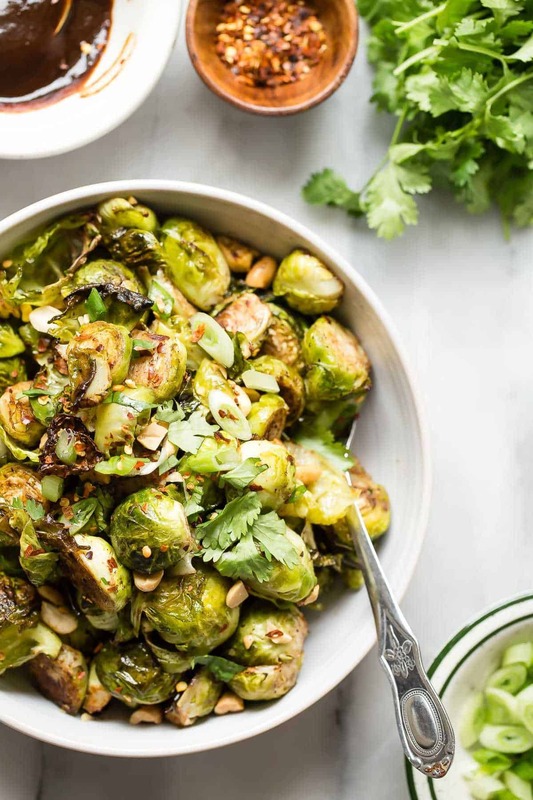 I love brussels sprouts and would be ecstatic to have these sitting on my plate for Thanksgiving dinner! No worries Sara, hope you like them! I’ve never actually tried brussels sprouts! I don’t think my family will eat them but I’m going to make them for myself! 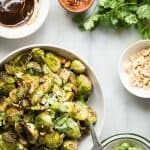 This might be the best Brussels sprout recipes I’ve seen in a very long time! This sounds like the perfect way to eat more veggies! THESE. LOOK. PERFECT. Brussels sprouts are my favorite! These look delicious, Gerry! We also decided a long time ago that Brussels are best cooked roasted and crispy – certainly not steamed and mushy. I almost can’t eat steamed brussels any more! I’ll be sharing this for sure. Beautiful photos here – looking forward to seeing more from you! i appreciate it Raquel, no mushy sprouts here.. These Brussel sprouts look like perfection! Love the idea of giving them some extra spice…will have to try this. I would eat these any day of the week and definitely on Thanksgiving. Five spice powder is such an under-utilized spice mix, but adds such fantastic flavor. I tried this recipe last night and it’s definitely a keeper in our house. Great idea for a side dish. Glad you like them David, hope it wasn’t too spicy? Loved this! I’m always on the look out for variations on roasted brussels sprouts – perfect with our asian noodle dinner. Thanks Ann, I appreciate the feedback!